Learn the benefits. 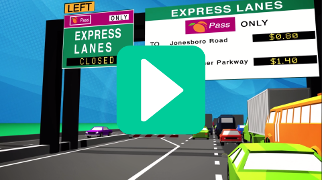 Compare the different lanes you can access with a Peach Pass. 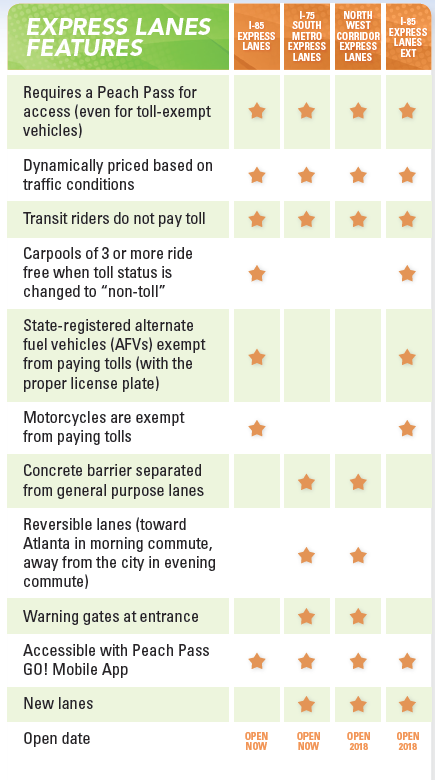 Georgia Express Lanes are optional toll lanes that run alongside existing interstates in some of the most congested corridors around metro Atlanta. These lanes provide a choice for you to pay a toll to bypass congestion when desired, ensuring more reliable travel times in peak periods. 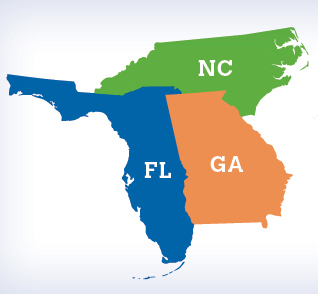 All Georgia Express Lanes rely on variable-price tolling to maintain free-flowing travel even during peak travel times.